The Office of Research is functioning to implement the VMRF-DU strategic plan by nurturing and promoting interdisciplinary research culture and encouraging collaborations at national and international level to achieve the highest ethical standards in research. Preparation and submission of research proposals. Provide guidance and to Identify the source of funding from different funding agencies. Provide guidance for initiating inter-disciplinary university research programs and formation of research units within the VMRF-DU institutions. Periodic review of research activities. Review of proposals submitted by the PIs. Complaints pertaining to research misconduct. 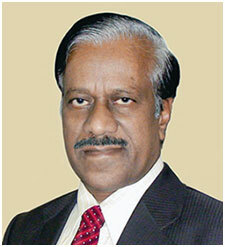 Prof. Dr.M.Ponnavaikko, B.E., M.Sc.(Engg. ), Ph.D.
Prof. Dr.M.Ponnavaikko, B.E., M.Sc.(Engg. ), Ph.D., is the Provost – Research of VMRF – Deemed to be University. Prof. Dr.M.Ponnavaikko, B.E., M.Sc.(Engg. ), Ph.D., served as the Vice-Chancellor, Bharathidasan University, Tiruchirappalli, Tamil Nadu till July 2010. From July 2011 he served as the Vice-Chancellor of SRM University till August 2014. He also served as the Vice-Chancellor of Bharath University, Tamilnadu. He is serves as Chair, IEEE India Council and Professor and Consultant in Computer Science and Engineering & Power Engineering for over four decades. Prof. Ponnavaikko is pioneer in promoting Virtual Education and Original Power system Improvement techniques for Energy conservation in the Power System networks in India. He has been responsible to establish a Research Directorate in 2003 at SRM University which has seeded for the growth Research potential at the University and resulted in a large number of Research paper publications, patents and innovative product developments like SRM Nano satellite, Nickel nano dots for computer memory, herbal based Siddha/Ayurvedic medicines, etc. He is responsible for setting up of a Nanotechnology Research Center, Earthquake Research Center, Learning through Discovery lab and an Inter disciplinary School of Indian System of Medicines at SRM University. He has been a Consultant, Researcher, Teacher, Academician and Administrator in the Industries and Public Sectors and academic Institutions contributing in the areas of Power Systems and Computer Engineering for over 4 decades. He has published over 110 technical papers, 22 Books and worked on more than 40 research projects. Dr.S. Suriyanarayanan. M.Sc., M.Phil., Ph.D is the Deputy Director Research of VMRF- Deemed to be University. As Deputy Director, Dr.Suriyanarayanan overseeing the implementation and delivery of the Research and Impact strategy and providing a comprehensive, high quality research planning function to the University and it s constituent colleges. Prior to this position, Dr. Suriyanarayanan served as Project coordinator, Faculty, Head of the department (I/c) at the Department of Water and Health, JSS University, Mysuru, India. He also served as Science Officer for SCOPE Beijing Office, RCEES, Beijing, China from April 2015 – March 2017. He has research experiences in the areas of Environmental Monitoring, Radiation Ecology and Environmental Microbiology. He is an active member of scientific societies and other membership bodies. He is a recipient of Young Scientist research grant award from SERB, Department of Science and Technology, Government of India. He secured the prestigious award of visiting scientist fellowship of Chinese Academy of Sciences during the year 2016-2017.Dr.Suriyanarayanan has been a visiting faculty to Faculty of Sciences, KhonKaen University, Thailand. He was recognised as Chairperson for Many national and International conferences. Also serving as Editorial Board Member for peer reviewed Journals. 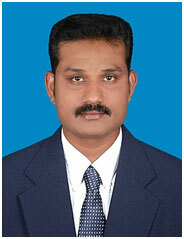 Dr.Suriyanarayanan has participated in more than 20 national and international conferences and presented papers. He published more than 40 research articles in National and International Journals.